PHN Fiyah Hott Music Featuring French Montana, Vic Mensa, Aminé, Meek Mill, Travis Scott, and More! ~ Phresh Hott New! PHN Fiyah Hott Music Featuring French Montana, Vic Mensa, Aminé, Meek Mill, Travis Scott, and More! PHN Fiyah Hott Music is here. This time in playlist form. We took what you loved most about PHN Fiyah Hott Music (the music) and put it in a playlist via Spotify. This way you can take the music with you wherever you go. 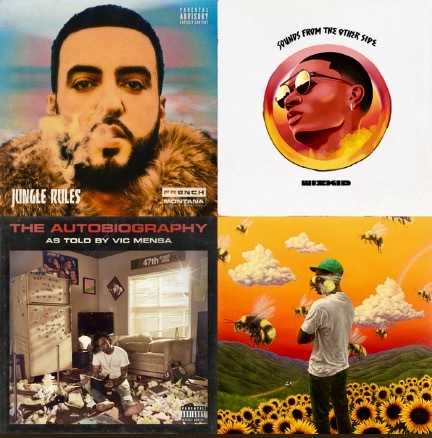 This playlist features music from: French Montana, Vic Mensa, Aminé, Meek Mill, Travis Scott, and More.